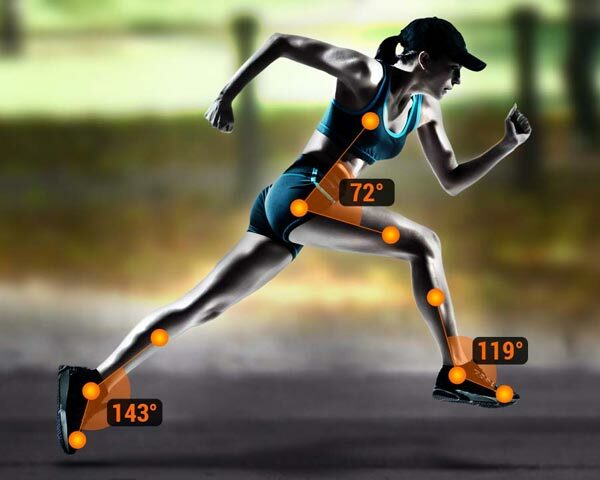 Once ignored, running technique is now intensively discussed all over the internet, from chat forums to website articles. One can become quite overwhelmed by the amount of advices and discussions on how to, but there is a general agreement on the fact that running technique can be taught and improved, resulting in less injuries and improving your speed. What can you do to improve your running technique? The key to improving your running technique is your posture. A proper running posture will increase your lung capacity and oxygen exchange, which will allow you to go faster. Focus on keeping your head upright and look ahead. Relax your shoulders and straighten your torso; this way hips will also fall into proper alignment. Breathe from your belly. You can practice diaphragmatic breathing by lying on your back with a book on your abdomen. When inhaling the book has to rise, and when exhaling the book lowers. Once you figure that out, focus on your posture while running, by taking a deep breathe in through the nose and out through the mouth. Although running is primarily an upper-body activity, you should pay attention to your arms. By vigorously moving your arms you waste too much energy. Your elbows should be bent at 90 degree and your hands in a loose fist. With lowered shoulders swing your arms relaxed, let them flow, and do not cross them in front of your chest. When you start to clench your fist or your shoulders start to move towards your ears, shake your hands for a few seconds. This way you will release the tension. There has been much debate on how a runner’s foot should hit the ground. Be it forefoot or mid-foot, all agree that a heal strike is bad; it increases the risk of injury and often causes overstriding – the foot landing ahead of the hips rather than under them. Focus on landing mid-sole and put slightly more pressure on the outer edge of your foot, then shift the weight to the inner part just before your foot takes off the ground. Try to run as quiet as possible, this way you will concentrate on running more softly. Another way to prevent overstriding is increasing your cadence without changing your speed. Use a metronome or an app to hit 170 to 190 steps per minute (Eyestone, Runner’s World). This way you will increase your speed without a great deal of effort.